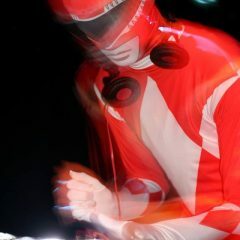 Acutek is a DJ / Producer hailing from Pluscarden who has been playing records for over 10 years. Starting on the harder styles of dance music he has moved over to house and techno in the last 4 years. Since then he has supported some of the biggest names in the industry such as Gary Beck, Pleasurekraft and ANNA. He has also been playing events all over Scotland including club nights TLF in Aberdeen, Ritual in Edinburgh and Good Vibrations Glasgow over the years. Festival appearances have been a regular occurance with Acutek playing Mothers Ruins at Belladrum, Groove Cairngorm and Mugstock. This year Acutek returns to Mugstock to debut a live hardware set with Ableton as the hub playing his own productions with synths layered over the top. After attending Soma Skool at Shoogle Studios in Glasgow this has helped Acutek move into the production world and learn his craft. This year seen his debut EP released on Space City Recordings gaining support from Dimitri Pike who is part of the Detroit Techno Militia as well as some other names. Recently his track ‘Icy Path’ has been released as part of a various artists compilation on Gibbon Records. With more productions in the pipeline keep your ears to the ground for more music being released later in the year.